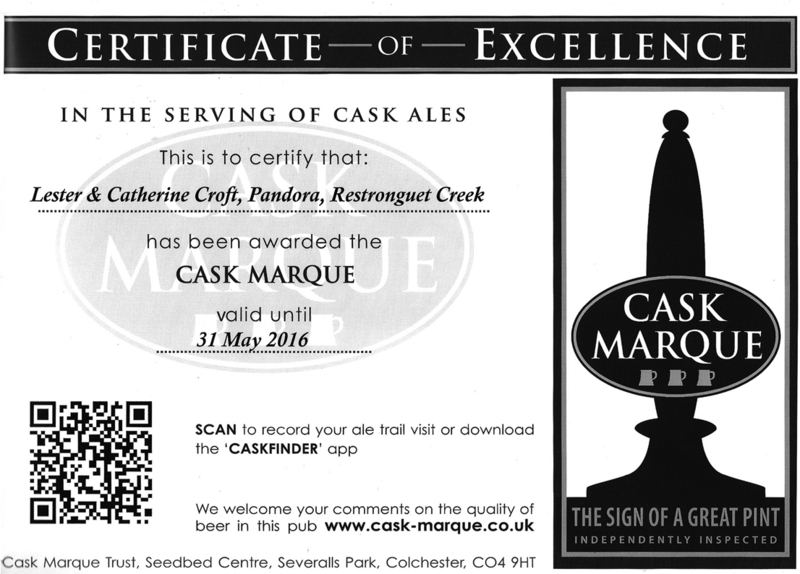 We have been awarded Cask Marque status for our beers. 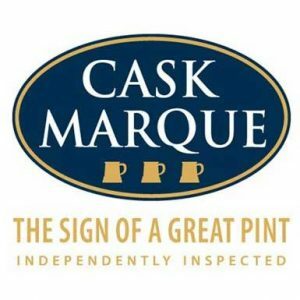 Pubs that join the Cask Marque scheme are visited unannounced by an independent assessor twice a year. The assessor checks all cask ales on sale for temperature, appearance, aroma and taste. 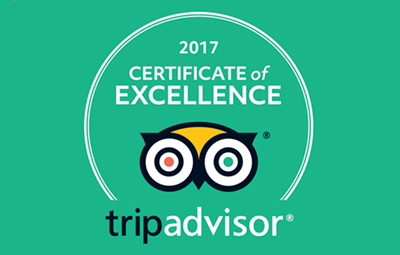 If all beers reach the required standard then the pub passes and receives a plaque and a framed certificate – as we did!